In May, Water and Sanitation Minister Nomvula Mokonyane made greater water security for all South Africans a priority, with the department setting a R15.1 billion budget for the 2017/18 financial year. In light of this, and given the country’s ongoing water shortage challenges, it is imperative to implement models for large infrastructure projects in the water and sanitation sector to ensure water security. To achieve this, government needs to build, maintain and refurbish water and sanitation infrastructure. 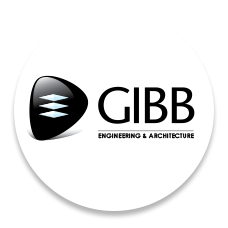 “The key is for government to plan and identify the large projects required to unlock the economic development in line with the national development plan,” says Teboho Mofokeng, Technical Executive at GIBB. Water and sanitation projects can have an impact on a wide variety of sectors, including mining, health, housing, and energy, to name a few. Engagement across all government sectors is therefore key to identifying and prioritising the projects that will be most beneficial to the economy. South Africa features a number of large water infrastructure projects which highlight the role such projects have to play in ensuring economic development. The Mokolo-Crocodile Water Augmentation Programme, for example, is a large infrastructure project needed to supply water to the Lephalale and Steenbokpan areas in Limpopo for primary and industrial users to meet the development requirements, where two of the major industrial users are the Medupi and Kusile Power stations. The Vaal Gamagara Water Scheme is required to ensure the continued sustainability of iron ore and manganese mining operations between Kathu and Hotazel where continued mining operations will increase the region’s economic activity. The project will also ensure water supply to over 22 villages. On a larger scale, the Lesotho Highlands Project Phase II is necessary to accommodate the population growth due to economic activity in Gauteng. Large water and sanitation infrastructure therefore contributes in many ways to the development of South Africa’s economy. However, large infrastructure projects have significant financial implications. Mofokeng believes that given the current economic conditions, Private-Public Partnerships (PPP) offer the best financing strategy for large projects. One of the key elements required by the private stakeholders is that the revenue to be generated from the services rendered needs to be assured for the financing strategy to be viable. Given this, the partnerships can take on many different forms based on the needs and risk appetite of the stakeholders. The crucial part being that all the stakeholders must be able to understand, quantify and mitigate their risk before the partnership is concluded. “Innovation in the private sector is key to improve the performance and delivery of services and government can leverage this advantage in these PPP. It is therefore important to ensure that successful government and private partnership models are based on feasible, well selected and researched projects,” says Mofokeng. While spending on large infrastructure projects has a clear link to economic growth, it is vital for that infrastructure to be maintained in order for it to continue to support the economy. “The current approach to maintenance and refurbishment of water and sanitation infrastructure for most Municipalities in South Africa appears to be reactive and without detailed planning when it comes to budgeting and implementation. More effort should be placed on revenue collection for the services rendered in order for government to be able to fund the operation and maintenance costs,” emphasises Mofokeng. In light of the current drought that is being experienced in certain parts of South Africa, it also becomes important to consider water saving technologies and approaches. The agricultural sector requires an allocation of close to 60% of the country’s available raw water. With this in mind, initiatives to promote and regulate innovation in agricultural practices to reduce water demand are advantageous, says Mofokeng. In addition, the agricultural sector and government can strongly consider the implementation of reclaimed wastewater for agricultural purposes to offset their requirements for raw water. There is work to be done to improve our national culture towards being more sensitive to the conservation of our limited water resources. There are currently numerous technologies in the private sector to reduce and better manage water consumption by households and commercial and industrial properties. Standardising on these technologies which include low flush toilet systems across the country can assist with the reduction in water demand,” concludes Mofokeng.